Home to NeedlePaint! Colorado has a big spot in our hearts! Our snow covered mountains, desert landscape and gorgeous river canyons are just a few reasons why we love this state so much. 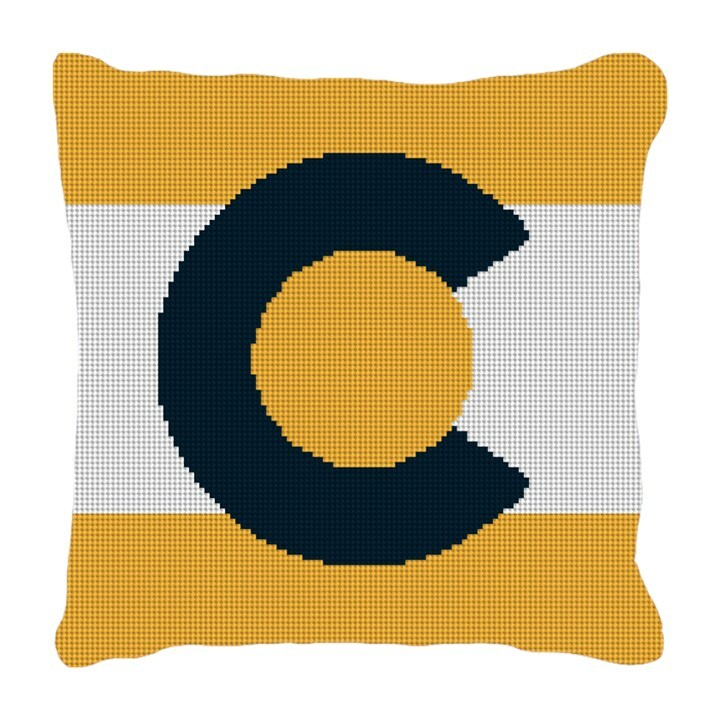 This Colorado needlepoint pillow, is a unique adaptation of our state flag. Complete with the color combination of black and gold, resembling one of our favorite universities here in Colorado!